A Snuggle Puppy favorite, this lovable mutt will always be there to reassure and comfort your pet. Snuggle Pet Products Company is a manufacturer of "Soul Satisfying Pet Products". Since 1997 we have been making a difference for stressed out animals all over the world with The Original Snuggle Puppies and Snuggle Kitties. With a real feel "pulsing" heart beat and warmer packs they are sure to make a difference for your pet too. Loneliness, fear (car ride, thunder) and anxiety are just a few the concerns virtually eliminated with use of our products. Not only for new puppies and kittens but for rescue animals from baby "Joeys" (Kangaroos) in Australia to orphaned Raccoons in Minnesota (USA). Our products do not require you to put your pet in a straight jacket or to medicate them. 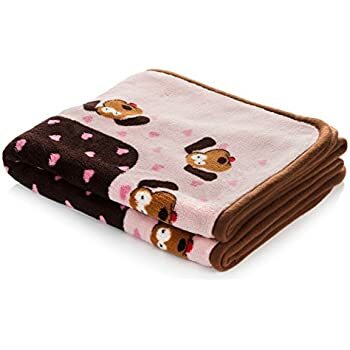 Our Snuggle Puppy Blanket is made from the softest fleece we could find. Its 300gweight makes it ultra soft and because of the high content the colors are deep, vibrant and long lasting wash after wash. They help control Pet Fur, Dirt and provide extra warmth on cool nights. Use in your car, crate and all around the house. Perfect for small dogs and cats under 20 lbs, our 3-in-1 pocket bed can be used 3 different ways. As a matt: for use on your bed, on the floor, in the car or in the hotel room! Pillow bed: Soft/warm and comfy, just add a pillow from home or hotel! Cozy pocket: includes a small pocket for your pet to climb into for security warmth and snuggling! Made from machine washable microfiber, a heavyweight fleece! Much smaller than our Heartbeat Puppy, (at 8inx6inx2.5in) the Heartbeat Pup provides one of the key features of the Heartbeat Puppy, the heartbeat sound. Comes with a heartbeat sound, which is soft soothing at a low 60 Db. We all know kittens love snuggling up to warmth. Much smaller than our Snuggle Kitties, the Snuggle Kitten Warmer provides one of the key features of the Snuggle Kittie, the warming. Simply add 1/2 cup of dry rice into the cloth pouch included with the Snuggle Kitten Warmer, and microwave for 30 seconds. This easy to use product is perfect for cats of all ages, and is machine washable. This adorable toy is designed to look like a smaller version of the popular SnuggleKitties™ and provides warmth and comfort for your pet. Simply microwave the heat pack, place inside the SnuggleKittie Warmer and it’s ready for your animal any time. It’s easy to use and perfect for cats of all ages and breeds. The plush shell is completely machine washable. The SnuggleKittie Warmer will prove to be your cat’s absolute favorite, fun and interactive toy. Much smaller than our Snuggle Puppies, the Snuggle Pup Warmer provides one of the key features of the Snuggle Puppies, warmth. Simply add 1/2 cup of dry rice into the cloth pouch included with the Snuggle Pup Warmer, and microwave for 30 seconds. This easy to use product is perfect for dogs of all ages, and is machine washable. Small: dogs with chests 38-53cm/15-21", weighing 5-14 lbs. perfect for Yorkies, Maltese, Min. Poodles. Medium: dogs with chests 50-63cm/20-25", weighing 15-25 lbs. perfect for Jack Russels, Westies, and Beagles. Large: dogs with chests 64-73cm/25-29", weighing 26-45 lbs. perfect for Border Collie and Corgi sized breeds. The SnugglePuppies 4-in-1 harness works in 4 different ways! 1. Relieves anxiety: Because canines (dog/puppy) are pack animals, they generally love to be with another beating heart, thus the popularity of the SnugglePuppies since 1997. The heartbeat acts as a litter mate to reduce sources of fear and anxiety (thunder, fireworks, separation, loneliness, depression). And now to help with canine anxiety in public, in the home, on the go, at the kennel, during a storm or fireworks we use the same real feel heartbeat from the SnugglePuppie in the front chest pocket of this harness! 2. Restraint: The 4-in-1 Harness easily clicks into a vehicles seat belt socket, reducing pet to driver distractions, jumping out or around in the vehicle and reducing risk of injury during quick stops. Caution: This product was not designed to protect you or your pet in the event of a vehicle crash. Seek alternative products that have been designed and tested for crash worthiness if injury protection is your intent..
3. Walking/jogging: The device is the perfect walking/jogging harness. You may quickly and easily attach a leash either to the safety strap, or the ring on the back of the harness. Consists of 3, 6 or 12 replacement Heat Packs and set of batteries.